the Cherokee Nation of Oklahoma. ON the 31st day of January, 1998, the court considered plaintiff Harold J. Demoss’s motion for preliminary injunction. 1. Defendant will continue to engage in activities infringing plaintiff’s right if the court does not grant a preliminary injunction. 2. If the court does not order defendants to be enjoined from destroying, concealing, deleting or altering any and all records, documents, information, including computer data discussed at the January 29th meeting, plaintiff and the Cherokee Nation will suffer irreparable injury. 3. The injury is irreparable because the destroying of financial documents of the Cherokee Nation will prevent plaintiff and the Cherokee Nation from the knowledge of the true financial condition of the Cherokee Nation. 4. Defendants will not suffer undue hardship or loss because of the issuance of a preliminary injunction. 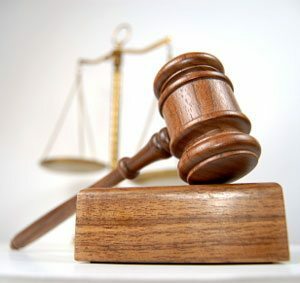 For these reasons, the Court ORDERS that defendants, its officers, agents, servants, employees, attorneys, and all persons acting in concert with them, be restrained from destroying, concealing, deleting or altering any and all records, documents, information, including computer data discussed at the January 29th meeting. The Court further ORDERS that plaintiff shall not be required to post a bond since this action is brought by a public official against another public official. The Court further ORDERS that the same be, and is hereby set for hearing at 2:00 p.m., on the 3rd day of February, 1998. SIGNED this 31st day of January, 1998.